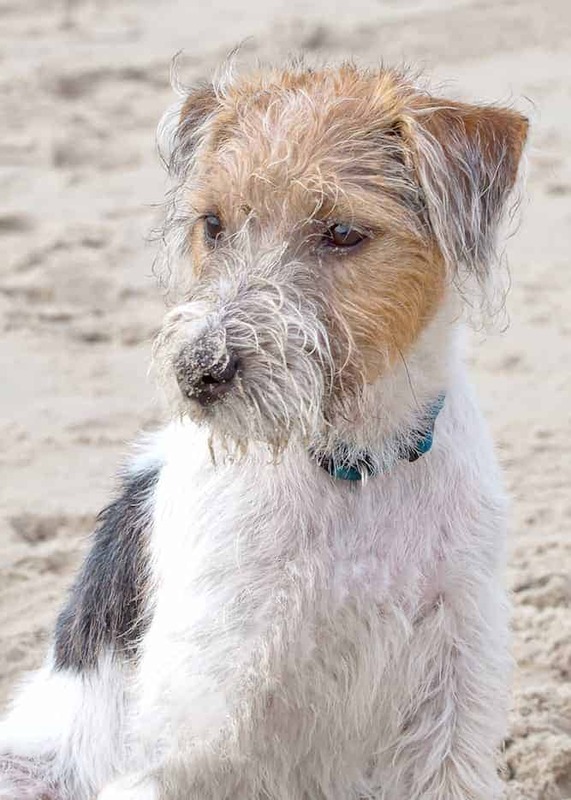 Do you have what it takes to deal with the Parson Russell Terrier Temperament? Parson Russell Terriers are one of the most clever and trainable dog breeds in the world. In fact, you probably recognize their cute, quizzical faces from television shows and movies. They are a top choice with dog trainers because of their amazing intellects. However, if you are novice dog owner then the Parson Russell Terriers should not be your first choice. This breed requires an experienced guardian who can focus its energy into positive outlets. These feisty terriers are bold enough to dive into fox lairs and flush foxes from their dens! They are tough and tenacious and they will take on opponents many times their size. They make excellent watchdogs and will alert their owners to intruders. They are not couch potatoes! If you add one to your household, you will need to provide plenty of playtime and exercise. Parson Russell Terriers excel at canine sports such as agility, flyball, barn hunt, and disc dog. They also make excellent jogging, hiking or biking partners. Without an outlet for its liveliness, a PRT will become bored and destructive. Parson Russell Terriers are Smart. Parson Russell Terriers are highly intelligent. If you dedicate the time, you can teach them just about anything! You can amaze your friends with adorable dog tricks! You can even find PRTs as service dogs and emotional support animals due to their intellects. Parson Russell Terriers have a strong prey-drive. They are not a good match for homes with small pets such as cats, rabbits or ferrets unless you socialize them early and supervise them closely. Exercise them in securely fenced areas because they will give chase if they catch sight of something that looks like prey. These are happy little dogs that are usually eager to greet new people and explore new places. They are good companions for children with proper socialization and supervision. However, they will not accept rough or abusive handling. Parson Russell Terriers are Playful. They will turn everything into a game! They bring amusement and joy to their families. The breed originated in England in the 1800s and owes its name to the Revered John Russell. Parson Russell Terriers primary purpose was to hunt foxes. When a fox escaped into its den, the Parson Russell Terrier would bolt into the hole and flush it out so the hunt could continue. Parson Russell Terriers had to be brave enough to follow a fox into a den, but not aggressive enough to kill the animal. The American Kennel Club originally inducted the breed into its registry as the “Jack Russell Terrier” in 1997. However, purists believed that the term “Jack Russell Terrier” was being used too loosely. They argued that it was a colloquial term to describe a wide array of working terriers. Some of which did not display the proper temperaments or physical traits of the Reverend’s original breed. The American Kennel Club officially changed the name to “Parson Russell Terrier” in 2003. They also redefined and narrowed the breed standard. Although the “Jack Russell Terrier,” is no longer recognized by the AKC, there are still advocates who refer to their dogs as Jack Russell Terriers and criticize the AKC for their fixation on cosmetic attributes rather than hunting capabilities. Parson Russell Terriers weigh between 13 and 17 lbs. and stand between 13 and 14 inches tall. Their tails are generally docked. Parson Russell Terriers are exceptionally smart and trainable. They respond best to positive reinforcement methods. Never use harsh punishments for your Parson Russell Terrier. This will lead to distrust. Repetitive training sessions will bore any Parson Russell Terrier. Their intelligent temperament demands that you keep them on their toes with new tricks! The Online Dog Trainer is one of the best dog training resources online. It has tons of videos by world-renowned Dog Trainer Doggy Dan. If you want your PRT to live up to its Intelligent temperament definitely check out the free trial. The life expectancy for a Parson Russell Terrier is 13-15 years. If you purchase your Parson Russell Terrier from a breeder, be sure to ask about genetic testing and ask to see veterinary records. Note: You can help your PRT by educating yourself on Dog Health. Get a copy of The Ultimate Guide to Dog Health and put the odds of good health in you and your dog's corner. The effort involved in grooming your Parson Russell Terrier depends on the coat type. Both coat types require weekly brushing and occasional baths. The rough coat requires a little more effort. Rough coated Parson Russell Terriers need periodic clipping with a professional groomer. Parson Russell Terriers are common in American animal shelters. Please make adoption your first choice! Many uninformed people acquire these dogs as puppies because they are so cute. However, they quickly realize that they do not have what it takes to deal with the Parson Russell Terrier temperament. Hundreds of Parson Russell Terriers wind up homeless as a result. Visit your local animal shelter and fill out an adoption questionnaire. Let the counselors know that you are interested in Parson Russell Terriers for adoption. If you are open to a Parson Russell Terrier mix you may find a match even faster. Mixed breeds have a lot of the perks of the breed, and they tend to be healthier. You can search for adoptable PRTs in your state by visiting petfinder.com or adoptapet.com. Another new adoption website is getyourpet.com. 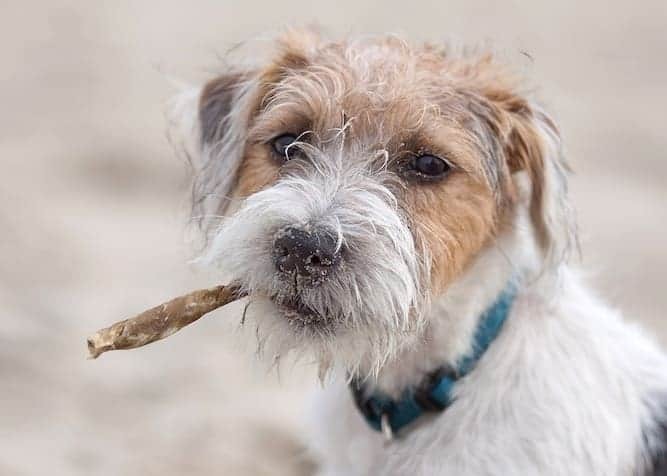 Facebook is another great resource for finding Parson Russell Terriers for adoption. There are dozens of Parson Russell rescue organizations that are dedicated to rescuing Parson Russell Terriers from overcrowded animal shelters. When you adopt a dog, your new pet will be vetted and altered. The price of adoption ranges between $75-$200 depending on the rescue organization. If you decide to search for Parson Russell Terriers for sale, be prepared to invest time and energy into this process. Do not order a puppy online! Your Parson Russell Terrier puppy could come from a puppy mill or puppy farm. You should visit Parson Russell Terrier breeders in person. This will ensure that your puppy comes from a reputable source. The breeder will ask you questions to make sure their puppy is going to a good home. They will also take the time to educate you on the needs of the breed. The breeder will also ask you to return the dog to their care if things do not work out. Reputable breeders want to keep their dogs out of shelters. If the breeder does not do these things, that is a red flag. You will want to keep shopping. Contact the Parson Russell Terrier Association of America and ask for referrals. That's a great place to start your search. The Parson Russell Terrier price will vary depending on many factors. The average price of a Parson Russell Terrier puppy is between $400-$600. It is higher for show-quality PRTs. This price does not include spaying/neutering. However, responsible breeders will urge you to spay or neuter your pet at the appropriate age. They may even ask you to sign an agreement or put down a refundable deposit to ensure that the procedure gets done. Conclusion: Why the Parson Russell Terrier? Not everyone is cut out for the Parson Russell Terrier temperament. If you are thinking about adding a Parson Russell Terrier to your life, chat with current owners to see if it is the right breed for you. 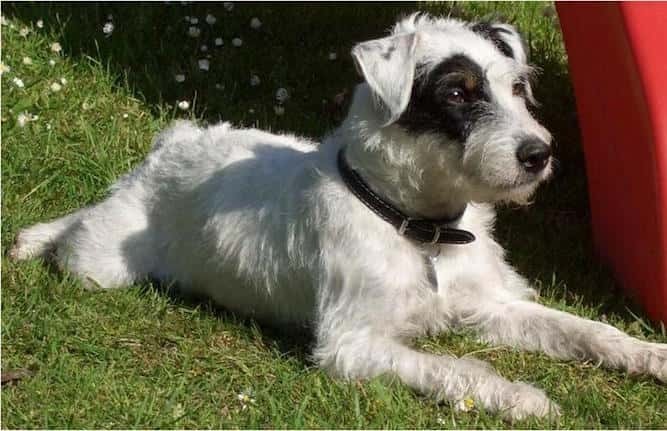 If you are looking for a lively and energetic companion, the Parson Russell Terrier might be a good match. Just be sure that you can dedicate ample time for daily exercise and training. Remember, this is a clever and athletic little dog! You need to be prepared to keep its mind engaged! 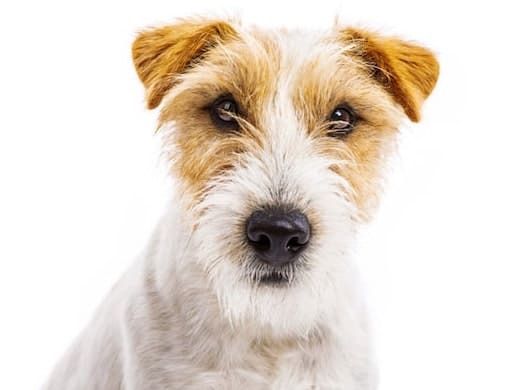 If you have what it takes, you will find a lovable and amusing friend in the Parson Russell Terrier! Next post: Does The Wirehaired Vizsla Temperament Make It a Near Perfect Family Dog? Previous post: Is the Black and Tan Coonhound Temperament (Easygoing, Gentle, Trusting) Right For You?